Before the injuries started taking their toll, it wasn’t much of a stretch to put Grant Hill on the same level as Jordan and Shaq. SLAM Magazine even went as far as to boldly put him on one of their covers with a caption that read “Just like Mike, only better”. Fila paid Hill $80 million to be the Italian (now South Korean) brand, resulting in 5 signature shoes. 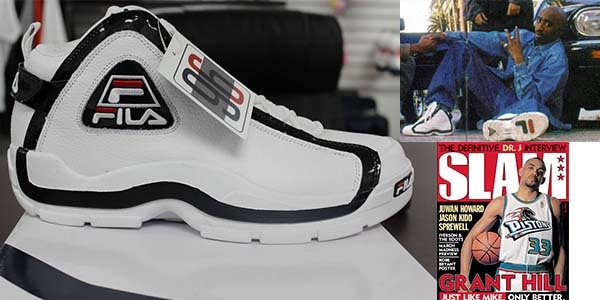 The Grant Hill 2 was definitely the most memorable of them with its tumbled leather upper and the velcro on the back. 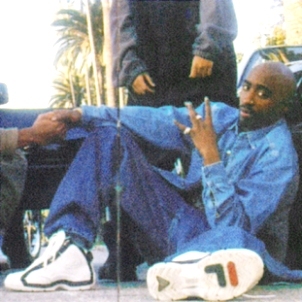 They were made even more memorable being worn by Tupac Shakur in a photoshoot for All Eyez on Me.